BrokerDealer.com blog update profiles the emergence of specialist brokerdealers who are poised to displace the once dominant ‘bulge bracket’ aka “6-pack” firms in the world of making markets and providing liquidity across the bond marketplace. As regulations and capital requirements upend the legacy role played by Wall Street’s biggest investment banks, technology advances coupled with modern day perspectives as to how to source actionable liquidity and secure best execution when trading bonds is providing an opportunity for smaller and savvy broker-dealers to play an important role. Coverage is courtesy of excerpt from feature story published by MarketsMedia.com. Since 2008, there has been an increase in electronic trading of fixed income securities, along with a decrease in inventory held by larger dealers and banks. According to a January 2015 study by Greenwich Associates, 80% of institutional investors report difficulties executing corporate bond trades of more than $15 million, reflecting decline in market liquidity caused by the pullback of fixed-income dealers in the wake of new and more stringent capital reserve requirements. With dealer inventories shrinking, investors’ search for new liquidity providers is proving a boon to the fast-developing ranks of electronic trading platforms, according to Greenwich. All-to-all trading accounted for an estimated 6% of electronically executed U.S. trades in 2014. To read the full article from Markets Media, click here. 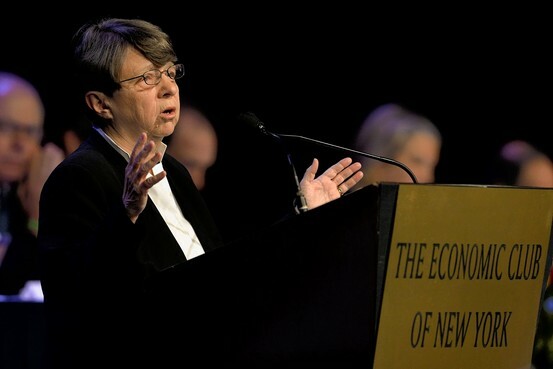 SEC Chair Mary Jo White is shifting her aim and gunning for increased pricing visibility and transparency from the Wall Street brokerdealers engaged in providing pricing and trade execution in the $14 trillion dollar secondary marketplace for trading corporate and municipal bonds. “…To even the playing field, Ms. White suggested requiring public dissemination of the best buy and sell orders generated on private electronic networks for corporate and municipal bonds that are accessed primarily by market insiders. Currently, investors typically see prices only after a trade is executed. “This potentially transformative change would broaden access to pricing information that today is available only to select parties,” Ms. White said in a speech at the Economic Club in New York. The effort comes amid a broader push by Ms. White to erode some of the trading advantages enjoyed by certain large traders that aren’t available to most rank-and-file investors. In a speech two weeks ago, Ms. White vowed to ratchet up oversight of computer-driven trading, a push that could ultimately dull the edge such high-speed traders enjoy. The bond market initiatives, while still in the planning stage, could deliver a blow to big Wall Street banks that dominate bond trading, while benefiting regular investors who have largely been shut out of the inner workings of the bond market, observers said. Wall Street’s fixed-income businesses already are being buffeted by new rules on capital and risk-taking, and a drop in client trading.